Anyone needed a last minute Mother’s Day gift? 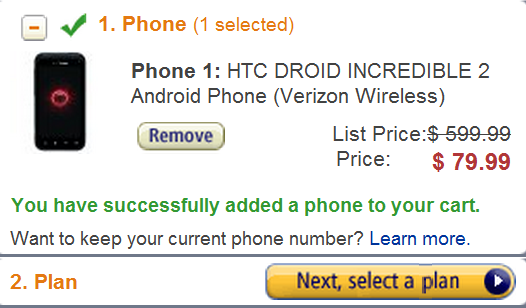 The brand new DROID Incredible 2 by HTC is available at Amazon for $79 if you sign a new 2-year contract. I’d call that more than a steal, especially knowing that it’ll cost you $199 if you walk into a Verizon store. We’ve already reviewed it, in case you were looking for reasons as to why you should or should not make this your next Android device. We’re highly recommended it as long as you don’t care about dual-core processors and 4G LTE. This is one of the more polished phones I’ve used in the last 6 months, and can easily say that you won’t be disappointed.